The Altai region has yielded a cluster of Middle and Upper Paleolithic stratified sites that have been recently excavated using a multidisciplinary approach. 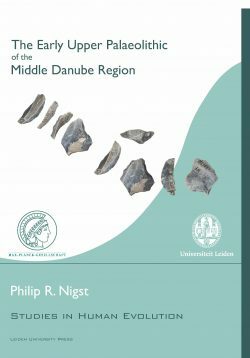 These sequences provide key evidence illustrating changes in material culture corresponding to the transition from the Middle to the Upper Paleolithic. In Europe, this phenomenon is associated with the replacement of Neandertals by modern humans. Based on this archeological data set, local scholars have put forward a scenario of regional transition to explain the emergence cultural and biological modernity. Recent developments in ancient DNA studies, however, have complicated this model by showing that Neandertals were present in the Altai Mountains until forty thousand years ago. In addition, a previously unknown genome has been sequenced, demonstrating the presence of another type of hominin in the region, the so-called ‘Denisovans’. The presence of anatomically modern humans is confirmed by at least thirty thousand years ago in Siberia. 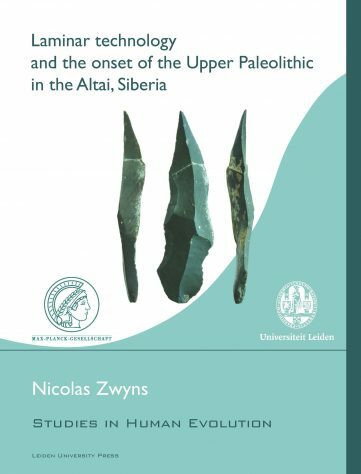 Based on a taphonomic and technological analysis of the Kara-Bom and Ust-Karakol laminar assemblages, the study presented in this volume takes a close look at the early development of Upper Paleolithic technical traditions in the Altai. The alternative chrono-cultural model presented as an attempt to conciliate archeological, environmental, genetic and paleontological data has substantial implications for our understanding of the Late Pleistocene peopling of Asia. Nicolas Zwyns is a PhD candidate at the department of Human Evolution of the Max Planck Institute for Evolutionary Anthropology. His research focuses on the onset of Upper Paleolithic behavior in Central and North-East Asia.